The peopling of Europe has happened in successive waves of migrations from East to West. Homo Sapiens left Africa to settle in the Middle East, then advanced into Europe around 40,000 years ago (probably intermingling with the indigenous Neanderthals). These early Paleolithic Europeans, known as Cro-Magnons, have left their genes in the modern population. Their Y-chromosomal DNA was almost certainly haplogroup I (and perhaps also to the older haplogroup F). The advent of agriculture in the Fertile Crescent and the domestication of cows, goats, and pigs in the South Caucasus and North Mesopotamia region prompted a new sedentary lifestyle. These early farmers expanded east towards modern Iran and Afghanistan, and west towards Europe. Based on the current knowledge, notably the recent ancient DNA tests from Neolithic France and Germany, it seems that at least two distinct groups of people left the Middle East for Europe. The first wave of agriculturalists most likely originated in the Caucasus region and made its way through Anatolia, northern Greece, then expanded north along to Danube basin, and south along the coasts of Italy, Sardinia, North Africa, southern France and Iberia. These people belonged almost exclusively to haplogroup G2a. The second wave might have happened in the late Neolithic/Chalcolithic or in the Bronze Age. Based on the haplogroups it brought to Europe, J2, J1, E1b1b and T, chances are that this group came from the Levant and/or Mesopotamia. Perhaps two groups merged in Anatolia, Greece and Italy giving rise to the ancient classical civilizations of Greece, Etruria and Rome. Modern Europe is dominated by two paternal haplogroups, R1a and R1b, which are associated with the Bronze Age conquest of Europe and South Asia by horse-riding pastoralists from the Pontic-Caspian steppes. They are thought to be the original speakers of modern Indo-European languages, from English, French and Greek to Russian, Iranian and Hindi. As I have explained here, the exceptionally fast replacement of all paternal lineages by R1a and R1b lineages in Europe, Central Asia and South Asia, is probably due to several factors (heavy losses in battles among males in conquered populations, polygamy among Indo-European rulers, higher genetic predisposition of haplogroup R to conceive boys, etc.). Unfortunately, this unfair bias in favour of haplogroup R makes it much more difficult to estimate the percentage of native Paleolithic vs Middle-Eastern Neolithic blood among modern Europeans. What is sure is that haplogroup R1a and R1b both have disproportionately high percentages compared to their real genetic contributions on other chromosomes than Y. So much is obvious from mtDNA studies, which do not show an obvious surplus of Indo-European genes, and indeed indicate a strong continuity from the Paleolithic and Neolithic. This is why I have worked on re-calculating the percentages of Y-DNA after removing haplogroups R1a and R1b. The results are startlingly in line with autosomal studies separating northern and southern Europeans. I have added the new percentages of I1, I2a and I2b together to obtain a percentage of Paleolithic admixture. Likewise, I have made the total for the Middle Eastern admixture (G2a, J1, J2, E1b1b and T). Mongoloid haplogroups here are N and Q, both of Siberian origin and present mostly in Germanic or Slavic populations. The Q is Mediterranean populations being of Near-Eastern origin (Phoenician or Jewish ? ), it is counted as Middle Eastern. This way of calculating doesn't work well for Russia or Ukraine because the original population was R1a and R1b. Removing them gives very odd results (Russia = 32% Paleolithic + 25% Middle Eastern + 43% Mongoloid ; Ukraine = 32.5% Paleolithic + 52% Middle Eastern + 15.5% Mongoloid). If we keep haplogroup R it fits much better with the look of white Russians (67.5% Paleolithic + 8% Middle Eastern + 24% Mongoloid) and Ukrainians (69% Paleolithic + 24% Middle Eastern + 7% Mongoloid). This is another reason to believe that the Bronze-Age steppe people were indeed R1a and R1b. Likewise it makes more sense to keep R1a in Finland and Baltic countries to avoid excessive Mongoloid admixture that does not reflect the reality. Note that all Scandinavia and the British Isles (except Wales) are over 2/3 Paleolithic European. All these countries are also overwhelmingly long-headed (dolichocephalic) and long-faced, just like Paleolithic skulls from northern Europe. If the Irish, for instance, who are 80% R1b, really had 80% of Pontic steppe Indo-European DNA, they would be much more brachycephalic and look very different. The R1b Y-chromosome spread in a very imbalanced way, quickly replacing most other lineages. But the core genetic pool of northern Europeans is to be found among the pre-R1b population, mostly among members of haplogroup I. This also explains why the Frisians, from the northern Netherlands, who are over 70% R1b, don't look so different from the Swedes, who are only 20% R1b. Once R1b and R1a are removed, the core is similar : mostly I1 with some I2b, G2a, J2 and E1b1b. The Welsh and Poles appear similar, both at 59% Paleolithic and 41% Middle Eastern. It's obvious that they look quite different, and if one looks at the haplogroups besides R1a and R1b, they are indeed very different. Wales has mostly I1 (42%) and G2a (17%), while Polish substrata is composed primarily of I2a2 (33.5%) and E1b1b (18.5%). Last edited by Maciamo; 04-06-11 at 16:24. The Welsh middle eastern percentage is quite high for British populations, does that mean there was a significant southern european influence at some point? Yes. Once R1a and R1b subtracted, the percentage of G2a in Wales (17%) in the highest in Europe along with the Switzerland (18%) and Austria (15.5%). Other regions, also remote and mountainous, have higher percentages still, like Auvergne (21.5%) in central France and Cantabria (22.5%) in northern Spain. I think that the reason is that Neolithic populations sought refuge into the mountains when later invaders arrived. Wales also served as a refuge for the population of Roman Britain when the Anglo-Saxons invaded England (and the Lowlands of Scotland). Roman Britain was probably much closer to Gaul ethnically than to Germanic countries or even Ireland. Since the Neolithic (e.g. Megalithic period) and throughout the Bronze Age (Celtic period, like La Tène) there were strong ties between Britain and Gaul, and surely lots of intermarriages and migrations in both directions. England and Scotland only owe their higher percentage of Paleolithic ancestry to the Anglo-Saxon, Jutlandic, Danish and Norwegian people who settled there. Ireland probably has little Middle Eastern admixture because it was distant and isolated enough, because its land was never appropriate for agriculture, and because the Irish also have some Scandinavian and English ancestry. Once R1a/R1b cut out, Ireland and Scotland have the highest percentage of I2b in Europe (22% and 21% respectively). Ireland also has the highest percentage of I2a (11%) in Western Europe after Spain (14%). Last edited by Maciamo; 04-06-11 at 17:06.
eyescolour the Upperpalaeolithic men (haplogroup I) had? Fair/red hair and blue-eyes? genes. Mongoloide types is totally absent in Denmark and the Netherlands. Why not in Italy or Spain? I suppose that the most mongoloides can be found in Russia and Hungary. 2-3% is nothing. Most of the features would be lost after 3 generations of intermarriage with Europeans, and that still leaves 12.5%. Besides, slightly Mongoloid type is far from absent from Denmark. I have seen many people with minor features, like high cheek bones or narrow eyes. Very straight hair may also be a Mongoloid feature, even if the hair is blond. The straightest hair in Europe are found among Nordic and Slavic people (as well as among the Basque but for unrelated reasons). I also know people with slight Mongoloid features in Belgium and France where there are less than 1% of Mongoloid DNA. Last edited by Maciamo; 04-06-11 at 21:09. 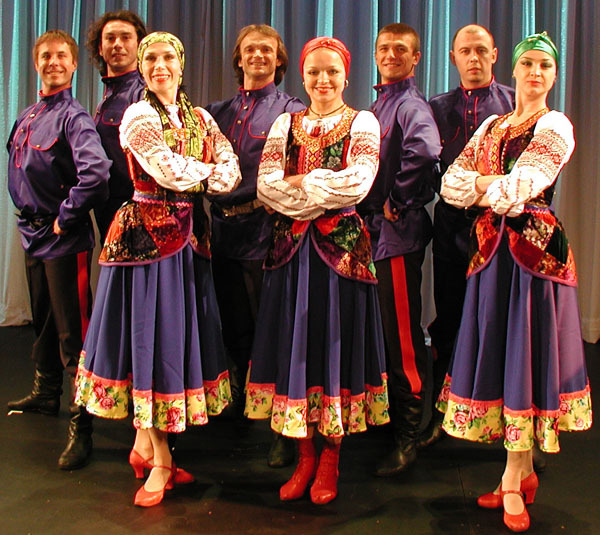 I am not big specialist in all that DNA and genes theme, but is Finno-Ugric = Mongoloid? I had a linguistic debate on this a year ago , so if linguistics means anthing, well! Ugric is also from hunnic invasion of europe. Finns are only linguistically different. The Mongoloid Y haplogroup N1c1 has been in the Northern Eastern Europe since the very end of the ice age - the first ones to inhabit the land so to say. Then they must be hold native for these part of Europe, right? Please keep in mind that haplogroups do not have phenotypical characteristics. Somebody belonging to haplogroup Q could just as well be 100% European, 100% Siberian Mongoloid, 100% Amerindian (from any tribe) or 100% Middle Eastern. But haplogroups N and Q are usually referred to as Mongoloid because the vast majority of their carriers are Mongoloid people. In the same way, there are Mongols and Siberians who are R1a and Africans who are R1b, but these haplogroups are called Caucasoid or European. 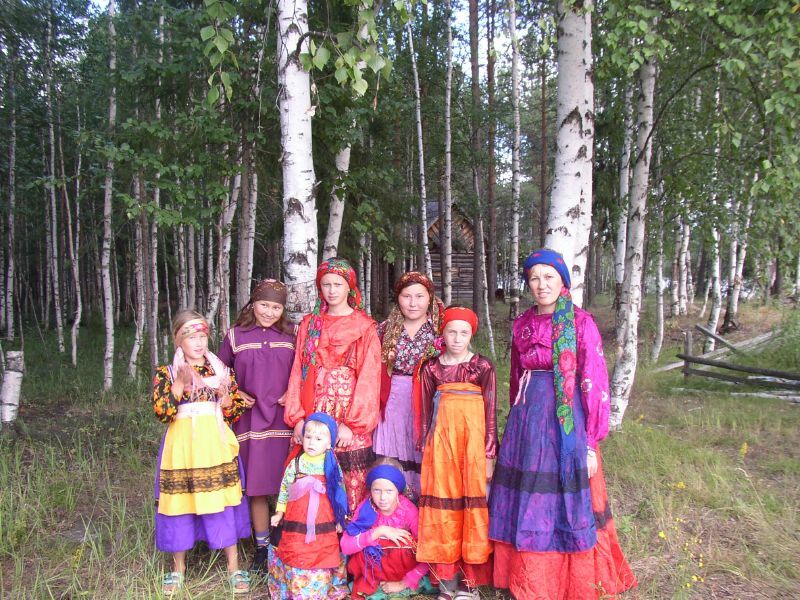 Notwithstanding, it is undeniable that there is a fair amount of Mongoloid genes among among Finno-Ugric and Scandinavian people, even if it is less than the percentage of haplogroup N suggests in the case of the Finns. I know some people who are 1/4 East Asian and 3/4 European and who look less Mongoloid than some Finns or Swedes. It's actually surprising that Mongoloid traits survived so well among Finns and Swedes, as the most distinctive physical feature, the epicanthic fold (the single eyelid of Mongoloid people) is a recessive trait. To me, if the % is low , then its only due to small migration and not by a "mixing" of genes. What you are basically saying is that we should neither seperate R1a from R1b as well , .........whats the point of the discussion then? Would the European people with the epicanthic fold look like Rene Zellweger, or Tarja Halonen? would these people who have a small % of mongolid be considered mongolid?. Of course not. Why this question ? In the world of genetics we are all hybrids. I showed in this thread three genetic components that make up modern Europeans, but it could be subdivided much deeper. If we could go back 10,000 years ago, ethnic groups would be much more clear-cut. There would be a fairly pure I1 ethnicity, an I2a ethnicity, an I2b ethnicity, an R1a ethnicity, a G2a ethnicity, a J2 ethnicity, and so on. Now we are all mixed up. So in a sense saying European or Caucasoid doesn't really mean anything, as it can refer to many completely different admixture. with Finnish or Russian ancestors). I'm sorry to say this, but you may be subject to certain stereotypes there. For one, think about Hunnic influence, that might be the most likeliest source. I don't think that most on finns originally had mongoloid features. Finns are the most blonde people, and 60% of them are N1c1.They are among most indigenous people in Europe. In my eyes, most of them look typically Eurasian (hybrid Caucasian-Mongoloid). Don't be deceived by the fair hair and eyes. Many half-European half-Mongoloid children have fair hair, and yet are exactly 50% Mongoloid. About 10-15% of people in Mongolia itself have fair (sometimes very blond) hair and blue eyes, due to ancient admixture with Europeans (although it is not obvious from Y-DNA percentages). really blue eyed men in Scandinavia, north of Germany and the Netherlands. just compare from right the 1rst and the 3rd woman in face characteristics. it is obvious the difference. as i stated previously, just because a race has 1% mongolid, does not make that race mongolid. its an irrevelant %. We might as well say we are east african, because thats where humans originated. All Europeans make up one diagonal from South Italians at one end to Latvians on the other end, while the Finnish move to different direction. They are also followed to some extent by Swedes and Estonians. This "other" direction could be easily explained by mongoloid influx, only then Lithuanians and Latvians should be placed somewhere on that "other" direction, too because they have a lot of N1c1. Besides, why would Latvians rather than Lithuanian be set at the far end of the diagonal, this is somewhat contradicts Y-haplogroup make up as Lithuanians have more of N1c1 and Latvians more of R1b.